10. die-cutted copper tape into your drawing. Part number ET-7018 is 0.018mm thickness pure copper foil coating with conductive acrylic adhesive or non conductive acrylic adhesive. If coating with conductive adhesive, two side is electric conduction because the copper foil itself is conductive. if coating with non conductive adhesive, only one side is electric conduction. 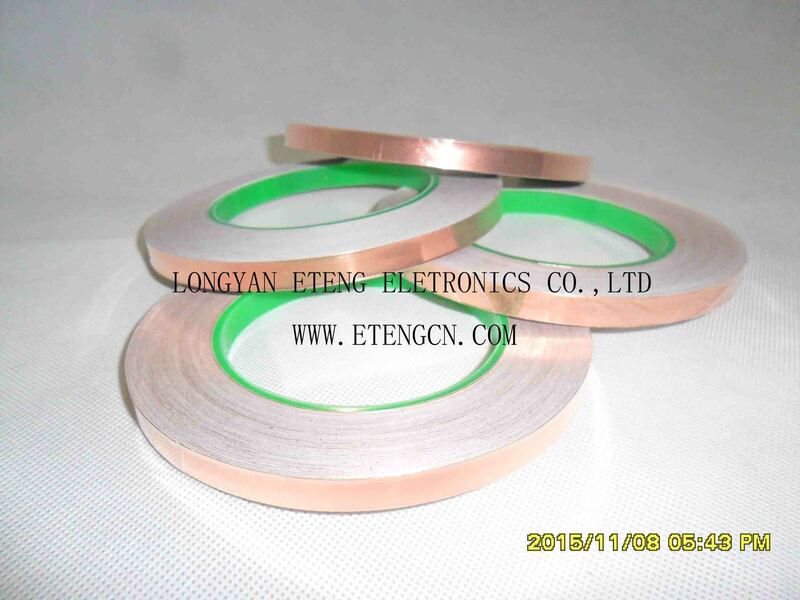 The purity of Conductive copper foil is higher than 99.95%, and its function is to eliminate electromagnetic(EMI) interference, isolation of electromagnetic waves on the human body injury,avoid unwanted voltage and current without affecting functionality. Eteng Eletronics 's Copper foil adhesive tape can also be die-cut according to your drawing, on strips or in pieces (as stickers). Almost every shape and size is possible.